His personal book collection largely focused on African-American and Caribbean cultures and histories. Of this collection, over 4,000 were donated to Jennie King Mellon Library. 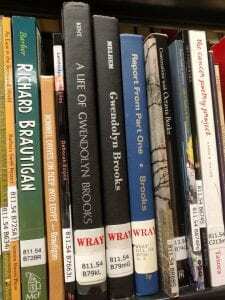 Some items are first edition copies or signed by the author and are housed in Special Collections. The rest of the items donated by Wray are in the circulating collection and are indicated with a spine sticker and a special book plate on the inside front cover. You can read more about Professor Wray on the University of Pittsburgh’s Archives and Manuscripts tumblr post about his papers. The Olkes book collection was donated to the Jennie King Mellon Library by Chatham alumna Dr. Cheryl Olkes as a supplemental element to the formidable Cheryl Olkes African Art Collection. 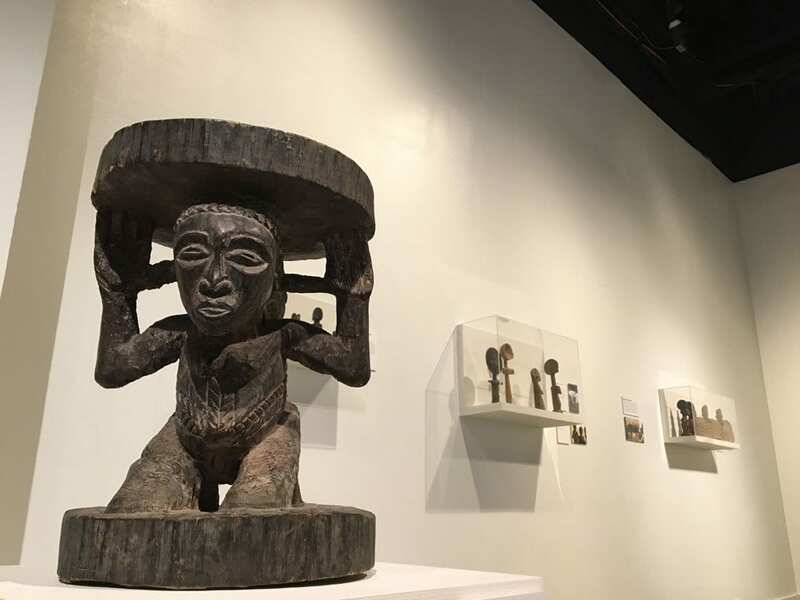 The collection was donated in 1998 and includes more than 600 works of African art meant for study and exhibition. Along with the artwork, over 120 books covering African art, history, sociology, anthropology, and culture were donated to the library. After graduating from Chatham in 1970, Dr. Olkes went on to earn a master’s degree in journalism from Ohio State University and a doctorate in communications from the University of Texas, Austin. She then spent time during the 1980s in Niger with the Songhay people, resulting in a book co-authored by her husband Paul Stoller titled In Sorcery’s Shadow: A Memoir of Apprenticeship Among the Songhay of Niger. She continued to make trips to Africa and collected works of art from across the continent. The result is that her collection is wide-ranging and eclectic. Certain pieces from the collection have also been displayed at the Smithsonian National Museum of African Art. Most recently, a group of Chatham students crafted an exhibit, “The Dynamics of Gender: African Art from Chatham University,” held in Pittsburgh’s August Wilson Center, that included pieces from Dr. Olkes as well as alumna Vivian Lowery Derryck, ’67, and a gift from Richard and Marilyn Finberg. 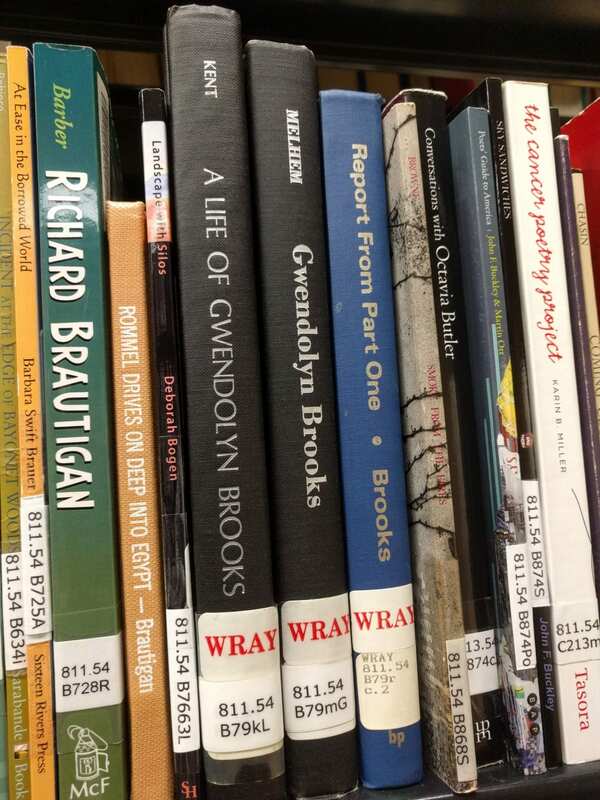 While the Olkes book collection is kept together on the bookshelves near the elevator on the third floor (near our limited textbook collection), the Wray collection is sprinkled throughout our circulating collection and Special Collections, easily identifiable by the “Wray” spine sticker. The Jennie King Mellon Library is proud to hold both of these collections, and while the books are older and well-loved, we encourage you to take advantage of your access to them!